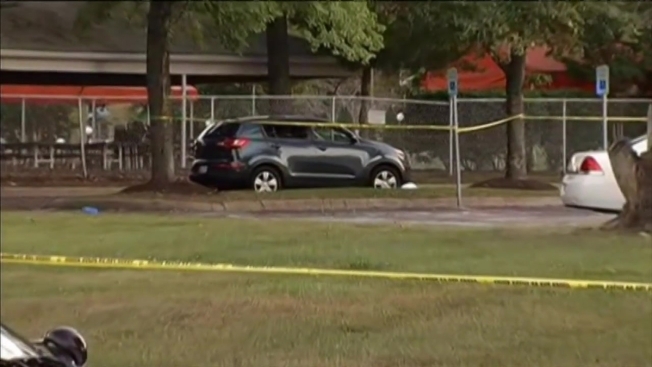 A 19-year-old suspect has been arrested in the death of a man who'd apparently tried to break up a fight outside a tennis and swim club in Bowie, Maryland. Deon Eugene Warren was arrested on a first-degree murder charge Thursday in the death of 39-year-old Mitchell White. 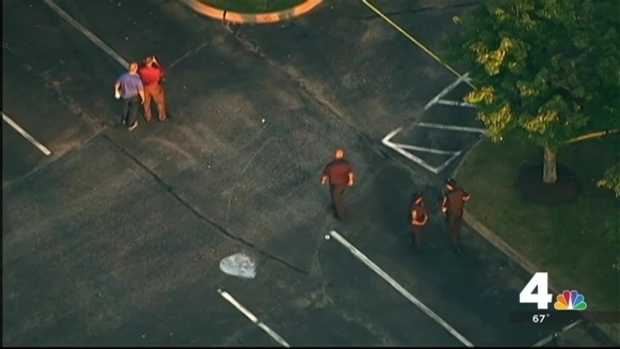 White had tried to stop a fight involving his son in the parking lot of the Belair Racquet and Swim Club, said Prince George's County Police. Officers responded to the club shortly after 5:30 p.m. Tuesday, and found White lying on the ground. He was pronounced dead at the scene about half an hour later. Witnesses told police that when White went to the area to pick up his son, he found his son was involved in a fight with another unidentified person. When White tried to break it up, Warren shot him, police said. White's son attends the nearby Bowie High School, but no connection between the fight and the school has been established, police said. The fight stemmed from a party last week when two groups of kids got into an argument, they said. Authorities hadn't yet determined the cause of the dispute. Parents said there had been minor incidents in the parking lot when teens have been hanging out after school in the past, but never a shooting. Warren is being held without bond.